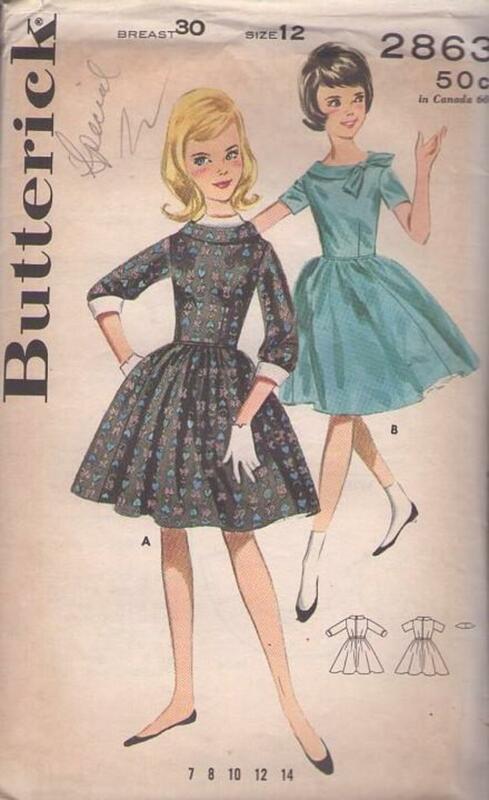 Bust 30", Waist 25", Hips 32.5"
60s Children, Retro Party Clothing Patterns - GIRLS' COWL COLLARED DRESS. Dress with fitted bodice, gathered skirt, corded waist. (A) Cowl collar, contrast dickey and cuffs, three-quarter length sleeves. (B) Cowl collar with tie, short sleeves.